We pride ourselves on our sustainable organic farming practices. 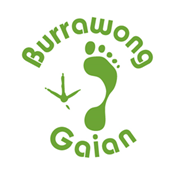 Burrawong Gaian produces small numbers of premium quality, pasture reared meat chickens, ducks, seasonally available game birds, and free range duck eggs. Raising livestock in a natural open range environment allows them to forage and express their character. They are free from chemical additives, artificial hormones and medications. We are committed to the preservation of rare breeds threatened by large scale industrial agriculture. We support the Rare Breeds Trust and the Humane Choice of ethically produced food. Processing poultry on site at our farm on the NSW Mid North Coast, we strive to ensure each and every customer enjoys our paddock to plate philosophy. We would love you to follow our crowdfunding appeal, click on the link in the logo. We are very proud and honoured to have received numerous awards from Delicious, and are the only accredited free range poultry producer by Humane Choice. We are currently taking a break from farmers market. To contact us, please fill out the form below, or send us an email to enquiries(a)burrawonggaian.com You can also phone us on 0411 161 942 if this works better for you!